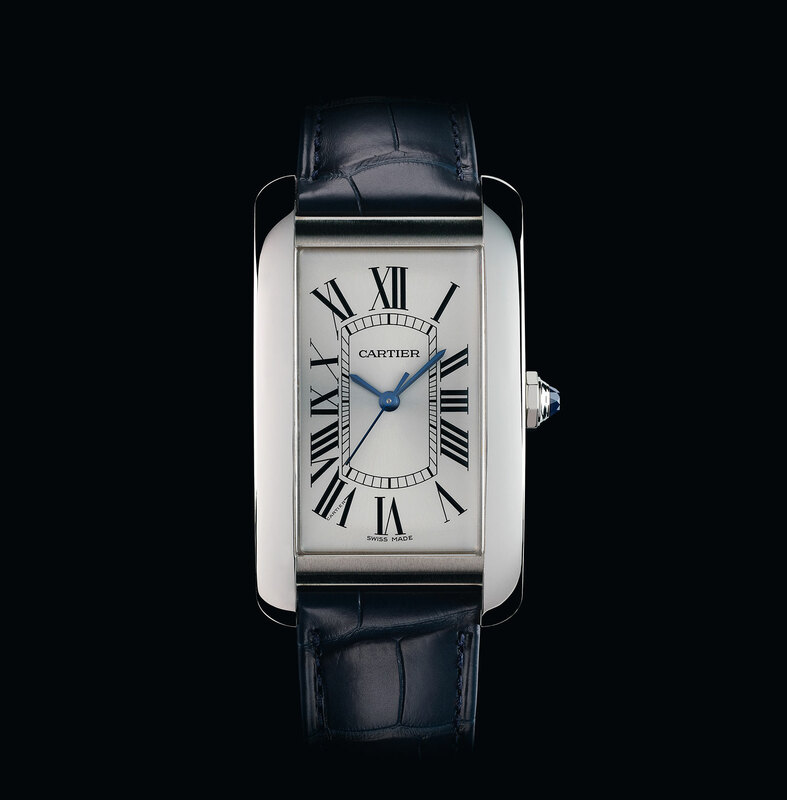 Introduced in 1989 as a modern take on the elegantly curved Tank Cintree, the Tank Américaine has been a mainstay of the Cartier line-up since but not been available in steel, until now. The trio of new models in steel all carry the classic Tank Américaine look, but at a much more affordable price. 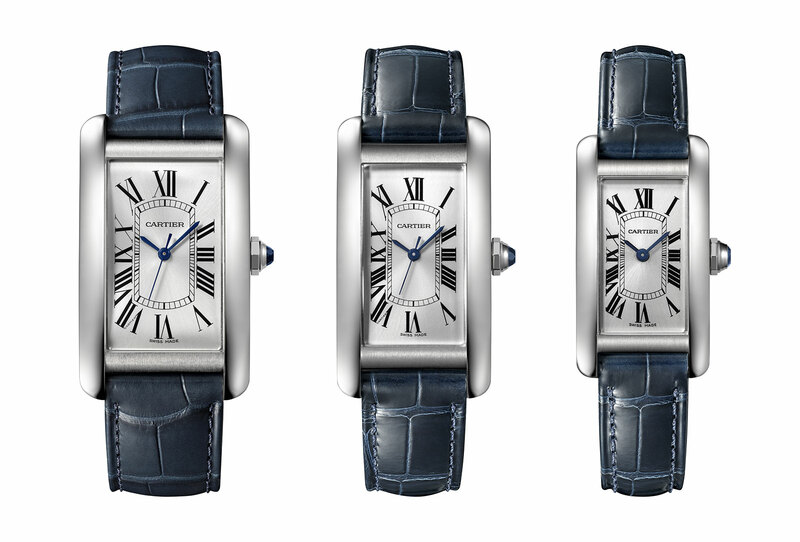 Available in three sizes that are identical except for dimensions, the steel Tank Américaine features all the classic Cartier design elements. The silver dial with a smooth, brushed finish has Roman numerals and a railway minute track, along with blued steel hands matched with a blue synthetic sapphire cabochon on the crown. Unlike earlier generations of Tank Américaine, the large and medium models are time-only, lacking a date display. An omission that traditionalists will welcome, the date-less style is clean and functional. The Tank Américaine large model measures 26.6mm wide, 45.1mm long, and 9.65mm high, making it sizeable for a rectangular watch. It’s equipped with an automatic ETA movement. The medium model is 22.6mm wide, 41.6mm long and 9.65mm high, and similarly powered by an automatic ETA movement. And the small model is 19mm by 34.8mm, standing 7.1mm high, a compact size possible thanks to the quartz movement inside. The Tank Americaine LM large in steel (ref. WSTA0018) is priced at US$5750 or S$7900. The Tank Americaine MM medium (ref. WSTA0017) is US$5100 or S$7050, and the Tank Americaine SM small (ref. WSTA0016) is US$4000 or S$5500. They are available at Cartier boutiques and authorised retailers. Correction September 9, 2017: The retail prices for the small and medium models published earlier were incorrect, they are US$4000 and US$5100 respectively.